going to burn out. 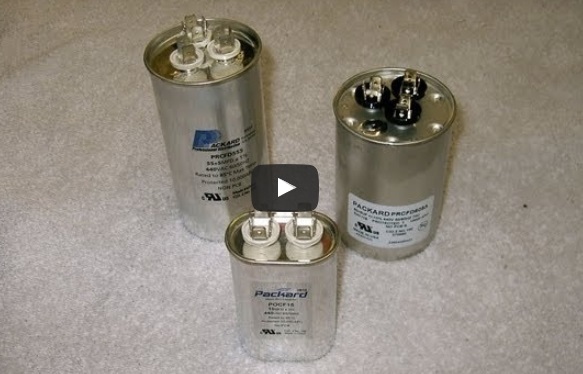 Other factors influence the lafe of the capacitor. High temperatures will shorten the life of a capacitor, as well as shelf life. If the capacitor has been sitting in the warehouse for several years before the installation, it may not be up to the full charge when the HVAC technician installs it. Here is an example of a capacitor that has exceeded its life and has begun to leak the internal fluids (dialectic) and indicating the capacitor may break down soon. The fluid acts as a medium for the current to flow and if leaked out, can short out the internal electrodes inside. When this happens you will usually see a deformed housing for the capacitor. 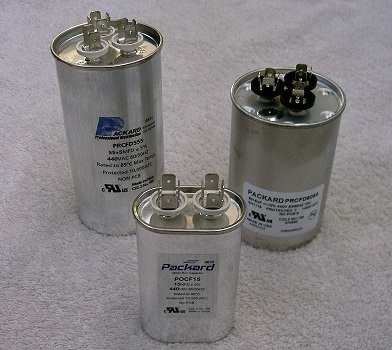 Checking for weak or dead capacitors is one of the several checks we perform in our Air Conditioning Tune-Up service. Call Alexander Heating and Air Conditioning for Fast Honest and Affordable service.